For 12 nights, you'll be treated to the luxury of hotels in the best bits of each destination we visit. Sleep twin or triple share, or upgrade to single share for a little bit extra. 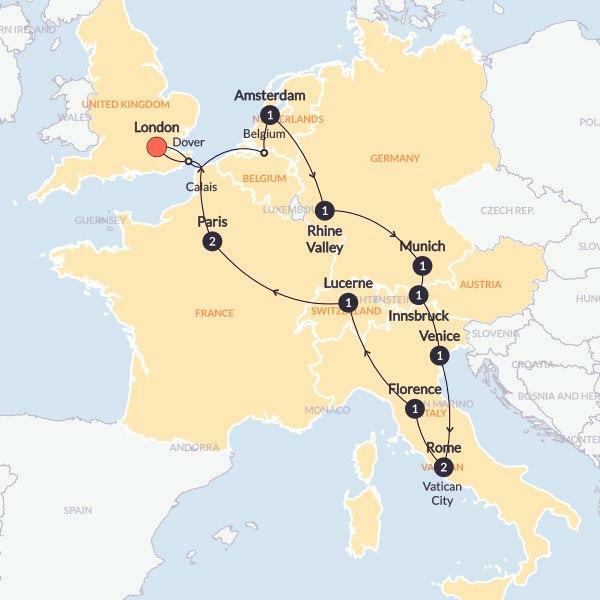 We'll be gourmandising all over Europe on this trip, sampling moreish local cuisine like fresh seafood and saucy pasta. 11 continental breakfasts will be included and 5 three-course dinners.